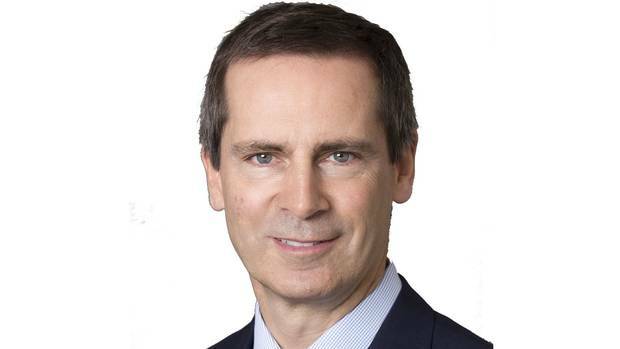 Being clean and green comes with a cost | Mothers Against Wind Turbines Inc.
Dalton McGuinty was premier of Ontario from 2003 to 2013. “There’s no free lunch.” I hated it went my dad used to say that. It meant I was going to have to pay up. He wanted me to understand there is almost always some kind of cost that has to be paid if you want to receive benefits. 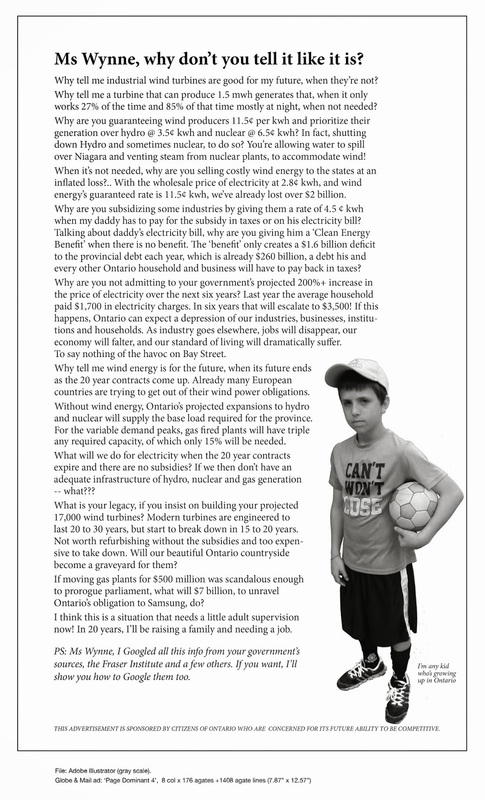 My father’s words came back to me as I listened to the recent reports about the costs of Ontario’s electricity system. These reports have sparked a healthy debate. But the best debates are the best informed. To help shed more light, I have some insights that can help inform the debate around the costs of our electricity. When we formed the government in 2003, we discovered pretty quickly that after years of neglect, Ontario’s electricity system was in desperate need of costly repairs and new investment. In the previous decade, electricity generation had fallen by 6 per cent while demand had grown by 8 per cent. During the summer of 2004, we made an extraordinary request of Ontarians asking them to dramatically reduce their electricity usage because we didn’t have the power to meet demand. What’s more, our electricity system had become a huge North American contributor to air pollution. At the same time the previous government had increased our reliance on coal by 127 per cent, doctors were warning us that our coal plants were responsible for 1,800 premature deaths and more than 300,000 cases of illness every year. The single greatest cause of children visiting Ontario hospitals was asthma, aggravated by bad air. Economists told us coal was costing us $4.4-billion every year in health and environmental costs.